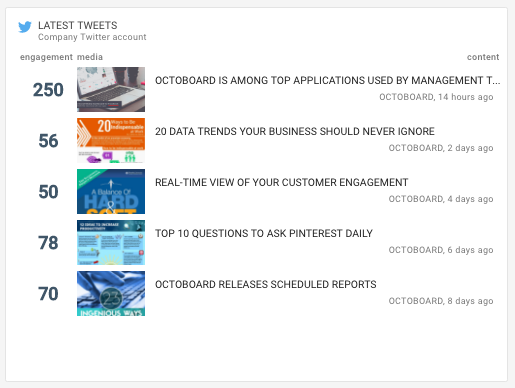 We have added Twitter to Octoboard. You now can monitor your Twitter, Facebook and other social accounts without the need to constantly login and logout of different networks. 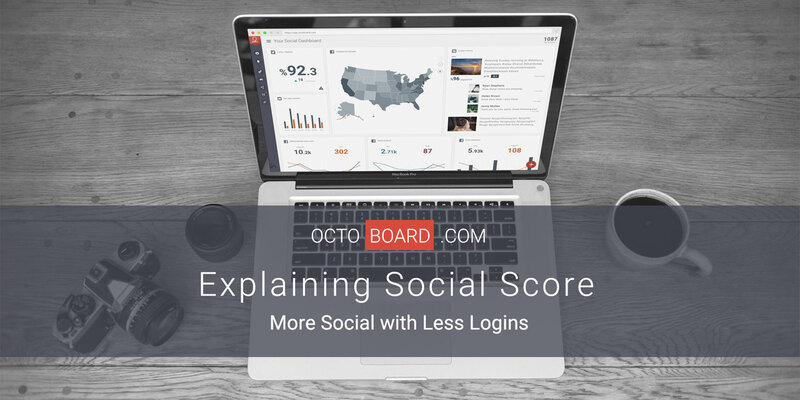 In our Free Social Edition we have enabled metrics that make sense to have in a dashboard. Engagement would be the most important one. To be successful in social media means having large audience of followers who are interested in your content. Engagement metrics tells you if people are interested. If they interact (engage) with your content it is a good thing. 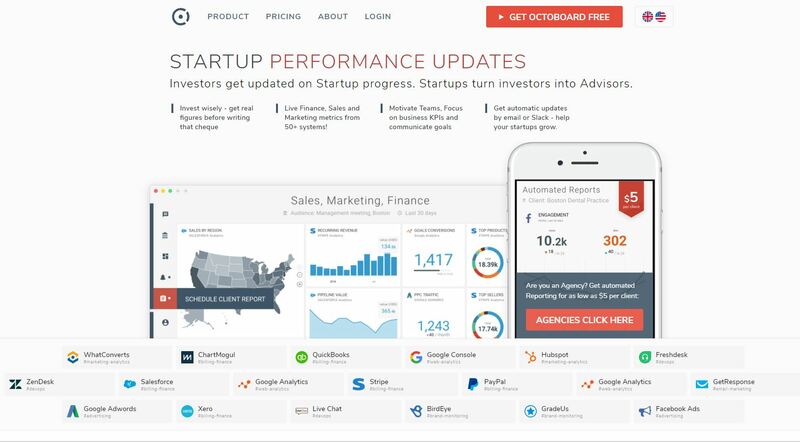 If you have Engagement metric in a dashboard you can see if the level of interest drops as it happens. You will have more time to fix a drop in interest if you identify it early and an online dashboard is perfect for that. 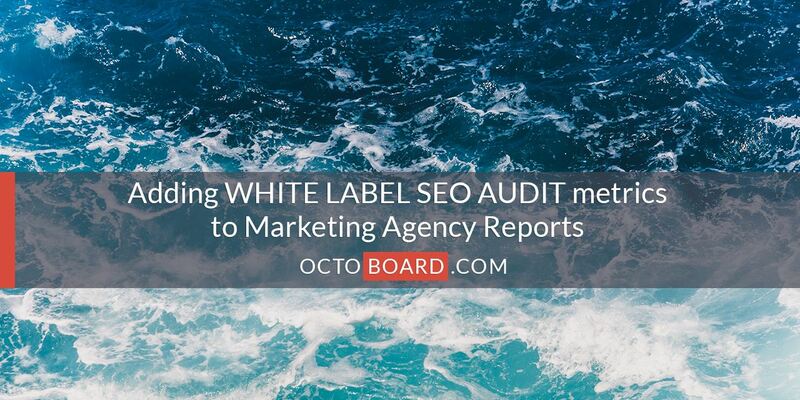 There is another reason to have Engagement in a real-time dashboard. Creating and maintaining visitors’ interest depends on many things. It depends on the quality of content (of course! ), but also on how quickly or timely you respond to Engagement events such as re-tweets or mentions. It is always good to talk to your audience, and do it almost immediately after they reach out to you. Do not let them wait for days to hear back from you. If you react quickly to feedback – good or bad – you will show that you value their attention and create positive connection. This will lead to better relationship with you, more re-tweets and higher online social score (which we will calculate for you in Octoboard). If you keep your Engagement metrics and tweets on a dashboard, you will see when people reach out to you and show that you value them by engaging quickly. 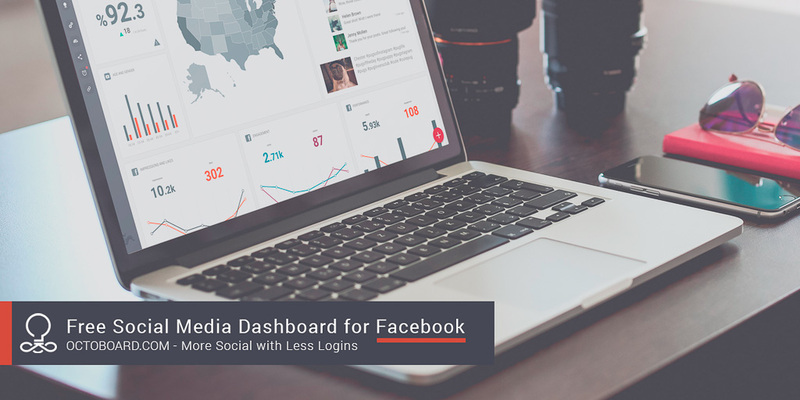 By having Facebook, Twitter and other social accounts on a dashboard you will be able to increase level of engagement without constantly checking your tweets or Facebook posts. 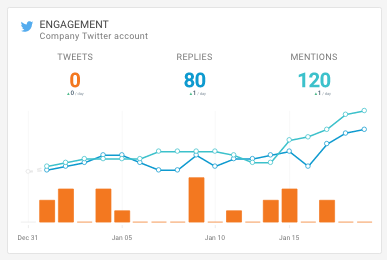 Put your recent tweets into a dashboard widget and rank them by the number of re-tweets, replies and mentions. If you see visitors engaging with your tweets you can jump directly to your Twitter feed and talk to them. Of course, Engagement is not the only metric to trend or monitor in real-time. There is more. 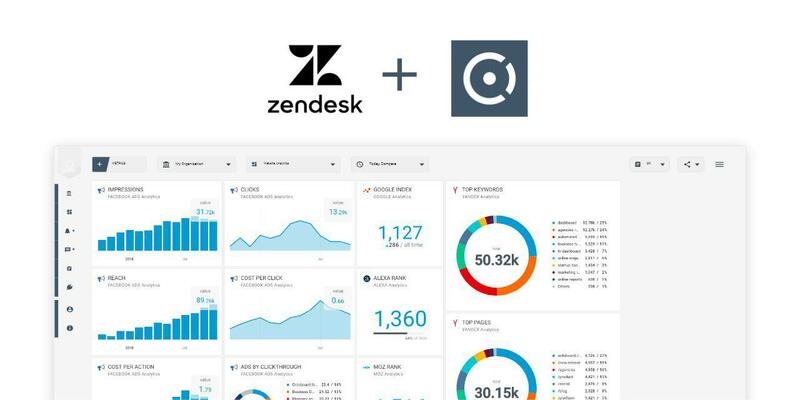 Metrics in a dashboard is not the end goal. 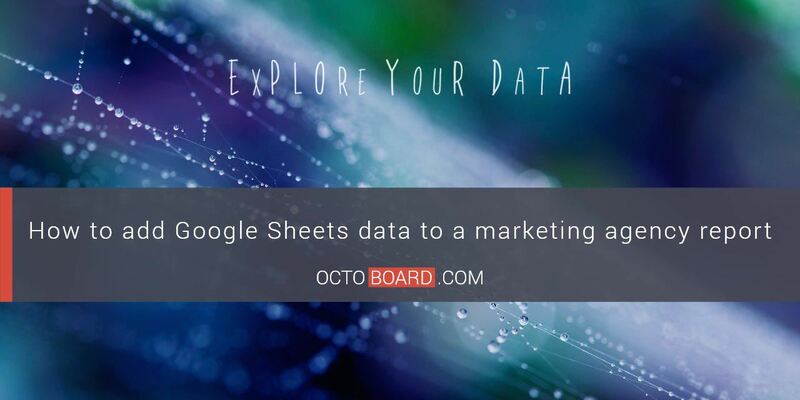 It is a step towards data insights. You should gradually move from metrics to insights. 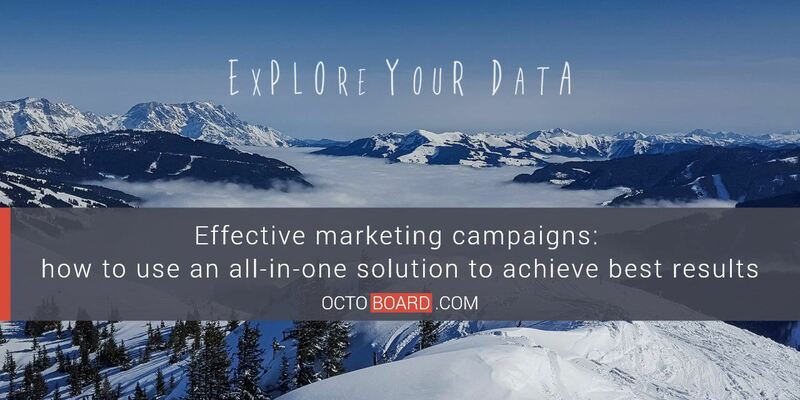 Insights are much more important than plain data. Insights tell you what is happening, they suggest what actions you should take and help you discover new trends. Check our short guide and 5 Practical Questions to ask Twitter daily. 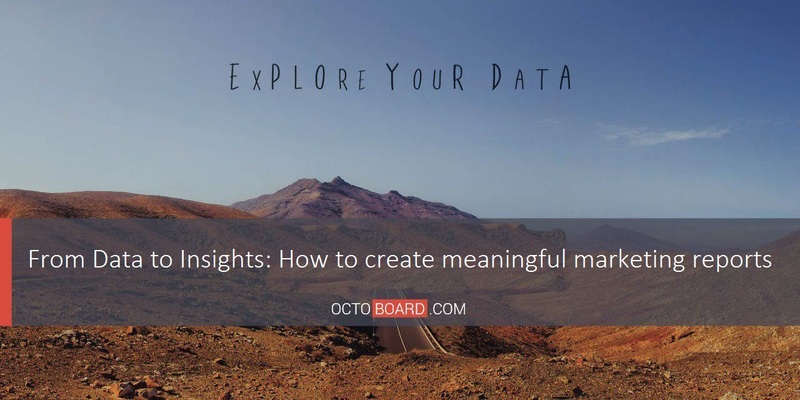 It should help you to get from metrics in a graph to insights. And don’t forget to create a Free Octoboard account.